Super Hero Boy: The best smelling package thats ever arrived!! The best smelling package thats ever arrived!! Ok that's and odd title for a product review I know, but seriously when I opened the box from Sugarplum Dreams I instantly wished I could visit their retail store as something over there smells amazing. On that little side note when I was given the chance to do a review for Sugarplum Dreams online store I had the worst time finding something to review, not because there were not great options on the site but for the sheer fact that there were so many great options. Connor has been showing some real intrest in pillows the last few months to the point that he curls up with my pillow any chance he gets so I knew it was time to look for a pillow of his very own that he could keep in his bed with him but he is not quite old enough for a full sized adult pillow so we needed something that was soft, toddler sized, and could be used as much for snuggling as it could be for sleeping. When I saw the Little Giraffe Chenille Baby Pillows over at Sugarplum Dreams I knew they would be perfect. Part decoration, part plush comfort, and small enough that I don't feel weird letting Connor have on in the bed with him he uses his Little Giraffe pillow to snuggle with and ocassionally I find him sleeping on top. I actually have a Little Giraffe robe which has to be one of the most luxurious items I have ever owned and though I am not at all a robe girl I have found myself falling asleep in my robe on nights that I'm having trouble sleeping as its just that comfortable. I have a feeling Connor feels the same way about his pillow as the few nights he has had to go without it if it gets dirty he will point at where it normally is in his bed and cry. I was a little sceptical about if it was washable as I knew it would be nearly impossible for Connor not to get it dirty. Needless to say I try not to wash it if I don't have to just so it will last longer and spot clean it when I can but it has been through the laundry twice and it looks as great now as it did when we first got it. We have a ton of books and though we love them all I can say without a doubt that the My Mommy's Tote board book that we got from Sugarplum Dreams has to be the coolest book we own without a doubt. Ever heard that saying that woman has everything in her purse other than the kitchen sink? Well the My Mommy's Tote board book has just about everything you can think of in it. Though there is a story to read the My Mommy's Tote is more of an activity book than about the story, meaning that each page inside the tote is completely interactive. There are tons of things to discover from the textures inside the book to touch to hidden compartments with little secrets like the credit card that you can actually take out of the wallet and the dial that changes the title of the suduko book. My question though is who keeps a can of peas inside their tote? Hmm I wonder a little about the Mommy who owns this tote. heh. There is so much to do and see that every time we look at it there is always something new. I don't let Connor play with the My Mommy's Tote book by himself yet as I'm still a little scared he might rip out one of the cardboard pieces quite yet but its a fun read for children under 2 with supervision and three years and up as an activity toy especially in the car or in a place where they need a quiet toy to keep them busy. Actually speaking of books one of the most overwhelming things for me when it comes to shopping for Connor is books, as there are just so many choices that unless you have time to really go to a book store and look at each book I find it difficult to order books online, with that said the book selection at Sugarplum Dreams takes all that guesswork out for you as they have one of the best book selections I have seen in an online store. All thoughtfully picked out and not so many that the selection is too terribly overwhelming I would be happy to welcome any book that they sell into my collection. We actually already own quite a few of them. Shipping is free on any order of $100 or more at Sugarplum Dreams. You can also get 15% off your total purchase by using the coupon code 7Dogs15 at checkout until December 31st! Sugarplum Dreams has given us an awesome giveaway for one lucky reader. 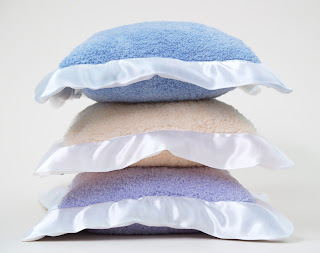 One reader will win his or her choice of any item from the Sugarplum Dreams store under $40! Leave a comment on this post. Check out the Sugarplum Dreams website and tell me if you won the giveaway which item would you choose? I would choose the Bunnies By The Bay Tadbits Buddy Blanket. How adorable and cozy! Thanks for the giveaway! The 3 Marthas Marshmallow Blanket in yellow is just lovely and that's what I would choose. I would choose the Stamp My Feet Child's Personalized Footprint! I would get the My Mommy's Tote board book and a Cloud B Twilight Turtle! There are so many things I would buy with that $40....jeez. But my son needs some wallpaper decals in his room and the race cars or stripes are nice. I also LOVE the Mommy's Tote Book....have to get one! I would love the Blabla Backpack Dalmation for my son. Neutral Baby Book-Ivory Dot is the item I would choose. My friend just found out she is pregnant and I am putting together an AWESOME baby basket together for her and I would add that to it. I like the WHistle and Wink bedding set! I would love to get the Zoobies Ping the Panda for my daughter if I won. Thanks so much for this giveaway. I would choose the Stamp My Feet Child's Personalized Footprint! Thank you for giving us a chance to win such a great gift! I really like th Safari 1- 3 piece baby spoon, fork set for $40. If I could if I won I would use the money towards Reed & Barton Tortoise Music Box-Silverplate for $42.50. I just love it and it's so beautiful. Such a hard decision! They have so much to choose from, and so many wonderful items. I think I'd get Orazio the Orangutan by Zoobies. Orangutans are one of my son's favorite animals, and he's so cute. I subscribe to your feed too, thanks! I am a subscriber! Thanks again! I would probably get the Caroline-White pedipeds because I have always wanted those! But I love the ladybug napmat and the cute growth charts, too, thanks! I love the Ooopsy Daisy Blue Roadster art. My son loves cars! I like the Neutral Baby Book-Ivory Dot I love to capture every moment of my babies life. I love love love the Little Giraffe Luxe baby blanky. I would choose the Ispy 3-D. I love the Pediped Liam-Chocolate Brown and Blue Baby Boy Shoes. I would choose the Neutral Baby Book-Ivory Dot. Thanks for the giveaway! I would choose the Little Giraffe Camouflage Chenille Blanky. I've been looking for a camoflage blanke for my nephews everywhere! there are so many things to pick from, I'm not sure what I'd choose! but the Pediped Noah-Chocolate Brown 4-Strap Sandal Boy Baby Shoes are so cute!! I would pick the L’Amour 758 Mary Jane W/ Velcro Closure Shoes for my little girl. Thanks for the contest! I need the My Mommy's Tote Activity Book and the My Grandpa's Briefcase Activity Book. I'm in love with the Pediped Grace-Brown Pink Polka Dot Mary Jane Baby Shoes. They are darling! I subscribe RSS on Google Reader (nape9393). If I won, I would chose the Cloud B Twilight Ladybug because it's perfect for my daughter. She adores ladybugs (who doesn't) and she can sleep without a nightlight. It seems that this product is both fun and functional and would make a great addition to my daughter's room. I like the naughty monster time out mat. Really cute. I like the Naughty Monster Time Out Mat. so cute and with a purpose. I like the 3 Marthas Elephant Polka Dot Appliqued Receiving Blanket. Thanks! I would choose the L’Amour 416 Ballerina Glitter Red shoes. They look just like Dorothys magic slippers! I'd get my daughter the Zoocchini Elephant Plush Toy In Safari Bucket. So cute! I would geta new baby book, my daughter's fell apart! I would choose the Noodle & Boo Lovely Body Lotion! I love the Footmates Children's Shoes - Courtney - Chocolate - Nubuck! The Green Toys Gardening Set, would help teach children about how great things grow from a little seed, care, water and sunshine. Oh my goodness! I want the Pirate jack in the box! TOO TOO CUTE. That is just what I would get. If I won I would get the Jellycat Merryday Zebra Stuffed Animal Plush Toy. It's adorable! I really like the Pediped Grace-Brown Pink Mary Jane Baby Shoes, so maybe I'd choose those. Although the toys are awfully attractive, too. I would love to try the Noodle & Boo French Milled Baby Soap! If I won I would choose the Beba Bean Bamboo Blanket in blue (except I noticed it is out of stock right now). I love the Zoobies Kojo the Croc Animal-blanket. My kids would love it. My son would love to have a backpack of his own. He loves to play with his sister's so I think I would definitely choose the Stephen Joseph Quilted Racecar Backpack. I would for sure get the Zoobies Ellema the Elephant Animal/Pillow/Blanket. I have been wanting that since I first saw this adorable stuffed animal. Thank you so much for this wonderful chance! My son has seen his cousin's Cloud B Twilight Turtle and he would go nuts to have one of these!!! I would buy the green toys tea set for my granddaughter. I'd get the green toys cookware and tea set. I would get the fairy Princess growth chart. I'd love the zoobie panda for my son!! I like the Ohio Art Hungry Pelican In Bath-Bath Toy. I would choose the twilight ladybug! I would choose a couple of the small jellicats. If I won, I would let my little one pick them out. I'd get the boon frog pod. I would choose the Skip Hop Pronto diaper bag. i would choose the Heelarious Brooke Leopard First High Heels for my stylish niece. she would love these! I love the Twilight turtle--I've been eyeing this for awhile! My little one could use the Safari 3 piece piece baby spoon and fork set. I haven't decided what I would use the GC for! Thanks! I would pick the 3 Marthas Puppy Baby Book. I would get the Neutral Baby Book-Ivory Dot! i love the rosebud clip with veil, its beautiful. Love the Neutral Baby Book-Ivory Dot! Love the Cloud B Sleep Sheep Infant Sleep Soother. I would get Jellycat Giggle Elephant Activity Toy. I would pick the Ribbit Ribbit I Love You frame. Very cute products. Happy Holidays. My favorite is the Children's Letters To God Book. My sweet little girl would love the Bunnies By The Bay Buddy Blanket in Pink. Thanks for the giveaway! I would choose the Blabla Backpack Monkey. How cool is that?? I really love the Moses Baskets for girls. I'd chose the Stephen Joseph Western Go Go Bag! I would choose the Ribbit Ribbit Swirl 4x4 Frame. So much cute stuff, I think it'd take me hours to pick something. I really like the Pediped Grace-Brown Pink Polka Dot Mary Jane Baby Shoes. i know just the little girl to give it to. I would love the Hooter Hiders Nursing Cover in Chocolat! I love the Cloud B Ladybug stuffed toy. thanks for the giveaway. I'd get the Little Giraffe Flower Velvet Baby Pillow. I would choose the little giraffe satin chenille baby pillow in lilac. Thank you! I would choose the Beba Bean bamboo blanket..very pretty. Ping the Panda for my daughter. I would pick the 3 Marthas Marshmallow Blanket for my sil who is expecting a girl. I would have to choose the Bunnies By The Bay "Goodness Gracious"Pink Bunny Stuffed Animal Plush Toy, my daughter has had a bunny like that for 5 years, it is starting to fall apart, she takes it everywhere. The Lion Pewter Bib Clip - I knit baby bibs from cotton, this would be a cute way to do it, then I could just knit washcloths, and give them with the bib clip to make bibs! I have been wanting the Skip Hop Pronto diaper changing bag for my daughter for the longest time! It is so compact and easy for those on the go changes that you so often have to do! I have a 5 moth old daughter and this is something that is just perfect! Thank you for the opportunity to enter. Definitely, the My Mommy's Tote board book, for my granddaughters. Great site by the way. I love the Small Childrens Sterling Silver Cuff Bracelet. I would love to have one for my baby girl. i love the L'Amour line of Mary Janes. thanks! My favorite is the Hooter Hiders Nursing Cover-Newport! I would get the Little Giraffe Camouflage Chenille Blanky. mestella 2-in-1 hair and body wash.
Stephen Joseph Tiger Nap Mat is cute. I would get the L'Amour 751 T-Strap Mary Jane shoes! There is so much to choose from that I really like! 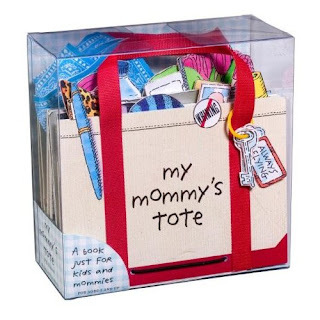 I think "my mommy's tote" is so cute and I know that my son would love this! I also like "Little Giraffe Velvet Blanket" since it looks so soft and cuddly. I love the "My name is" boy-kids art! I would choose the Cloud B Twilight Turtle. I would get the Beba Bean Bamboo Blanket. Thanks for the great opportunity. I would buy the L'amour T-strap Mary Jane shoes...these are SO CUTE! The lovely 6" Heartstrings Bangle Child's Bracelet is my pick! Thanks! Ohio Art Hungry Pelican In Bath-Bath Toy looks like something my daughter would love!